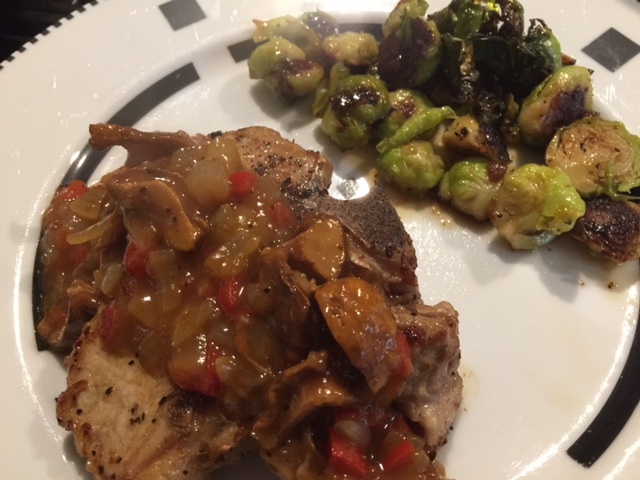 Flavor Secrets | Love to cook? Read on for professional tips on building flavor without all the calories! 2. 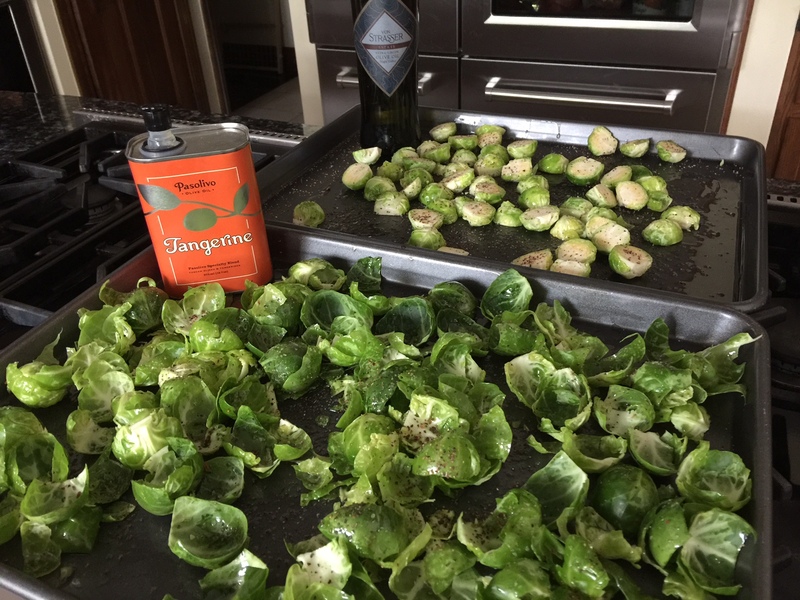 Sprinkle the leaves on the first pan with Tangerine Olive Oil (or another flavored olive oil of your choice. Lime flavored is also great.) Mix them with your hands, spreading the oil throughout the leaves. Then sprinkle them with salt and pepper. 3. Bake in a preheated 425F oven for 15 minutes, stirring after 8 minutes. 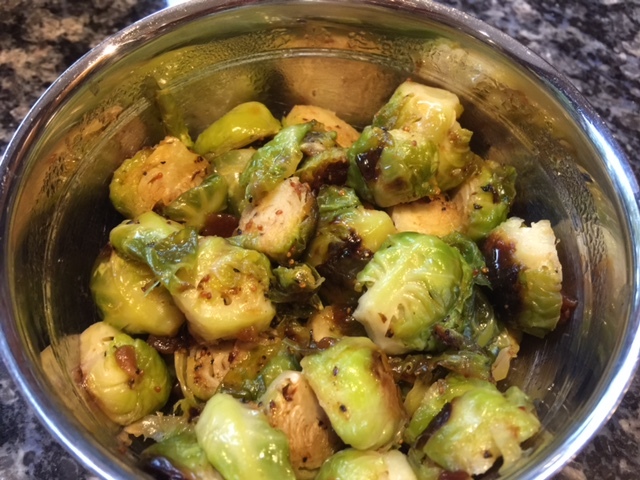 (You can cook them less if you don’t like them quite so brown.) Cool on the baking sheet. Use as a side or garnish at room temperature. 1. Cut the leftover cores in half and place on a baking sheet. Sprinkle with Extra Virgin Olive Oil and mix with your hands to spread the oil on all pieces. Sprinkle liberally with salt and pepper. 2. Bake in a preheated 425F oven for 15 minutes. In the past, I have always called this method of cooking chicken “Butterflied” but it turns out there’s another name for it called “Spatchcock” that dates back to a time nobody can personally remember. Originally, this term meant a bird that was killed, split and flattened and then grilled on the spot. Today, however, we use this term to describe the bird’s preparation, not including how it’s cooked, because it’s also done in the oven. 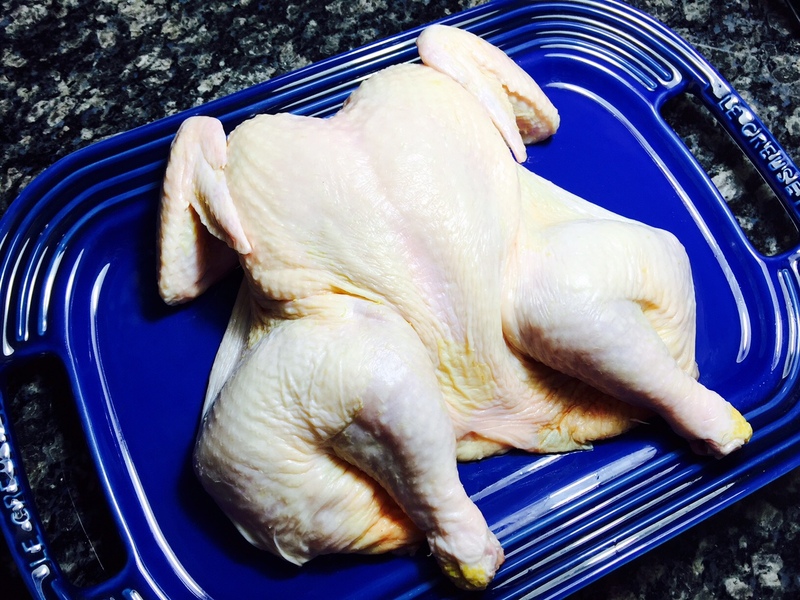 For the Spatchcock method, start with a whole chicken, check for anything inside, wash it and pat it dry. Then turn it breast side down. 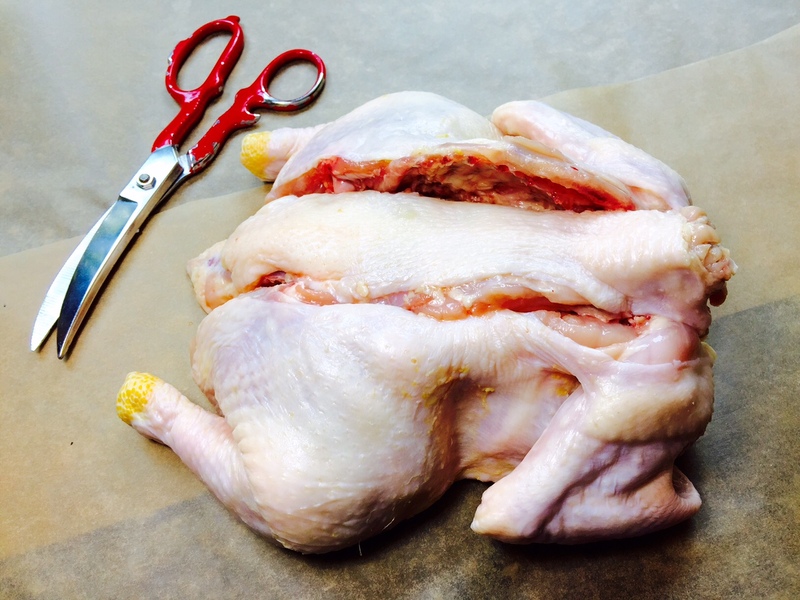 Get out your sharp poultry shears (which can cut through bone by the way, so watch out for your fingers). Cut along one side of the backbone and then the other so you totally remove it. (You can freeze and use that piece later to make stock or to enhance gravy.) Then spread the chicken apart. Some people also make small cuts in the cartilage on both sides of the sternum (at the center of the breast) so it will lie even flatter. This isn’t necessary, but I also like to do it. Now flip it over and push down hard to flatten it. Flip it over and press it flat. If you like, you can wrap clean bricks in tin foil and put them on top of the chicken to weight it down (also called bricked chicken) but it isn’t necessary. If you use them, remove them ¾ of the way through your cooking time so the skin has a chance to brown. The major advantage of this preparation is that it reduces cooking time. You can finish a chicken in 30 to 40 minutes (at 425⁰F) as opposed to an hour. Plus, it makes a very cool presentation and is much easier to serve, especially if you cook some homemade dressing underneath it. (If you add dressing, you will need more cooking time to bring it to the poultry safe temperature of 165⁰F.) Imagine how much quicker you could carve and serve your meal if you use this method to cook your Thanksgiving turkey! I highly recommend it, as long as you have a cooking pan that is large enough. It also makes a nice presentation for a bird as small as pigeon or Cornish hen. This method is great for grilling where it’s harder to cook the meat of a whole bird evenly. 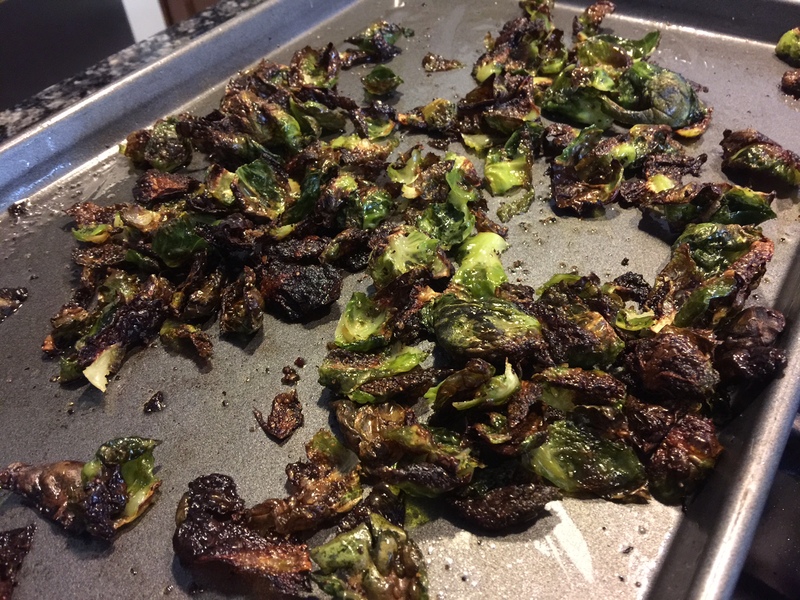 Just stay away from recipes that include a lot of fat that could drip onto the fire, causing flaming and please don’t char it. (Both of these things are thought to create cancer causing properties in your food.) Remember, however, that you can push your hot charcoal to the sides of your grill, cover it and basically create an oven where you don’t have to worry about that so much. Beyond that, you can use any poultry recipe you like. If cooking in the oven, you have more options. You can put butter and herbs under the skin, stuffing or herbs underneath or use any rub that you like. Brushing oil on the skin before cooking is the best way to seal in the flavors. I also like to sprinkle paprika on top of the oil, which gives the finished bird a rich brownish color. Give it a try! Add some vegetables and rice and you’ve got a great comfort meal for any time of the year! executed in a small space? Learning to stir fry properly might be your answer. All you need is a wok, a sharp knife and a stirring utensil. The Wok is used almost exclusively in many Chinese households for these very reasons. Space is at a premium, especially in poorer households, refrigerators are small and ovens are almost non-existent. The wok makes up for a lot of these inefficiencies because it is extremely versatile. You can fry, sear, boil, steam and braise – all in one pot. The shape of the wok concentrates the heat at the bottom. Racks are sometimes attached to the lip and used to store pieces that are done cooking (so you don’t overcook them). When frying, a wide, flat spatula works well for stirring and scooping. With stir frying, it’s important to prepare and line up the ingredients you will need ahead of time. 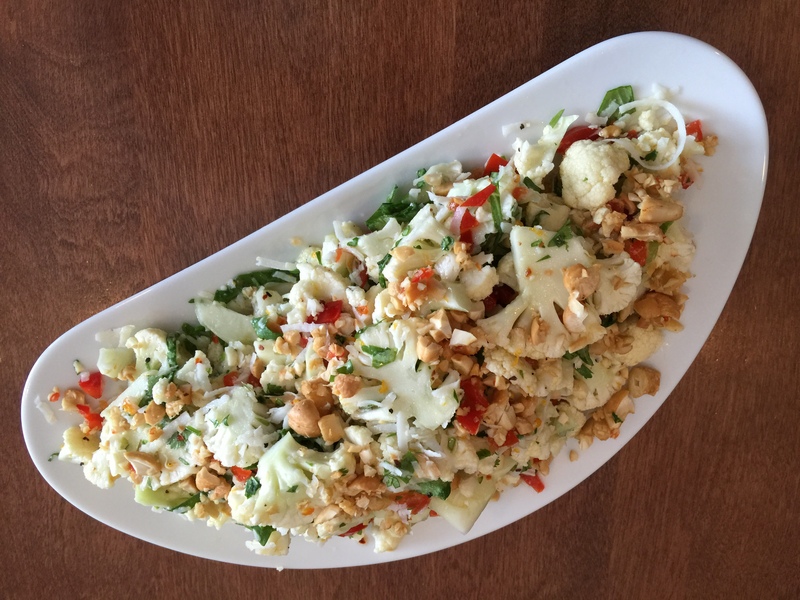 Each ingredient is chopped or otherwise prepared placed in the order it will be used. Stir fry is a quick preparation and you don’t have time to prep in between each addition. You want to be able to toss in the next layer of ingredients just at the moment you are ready for it. 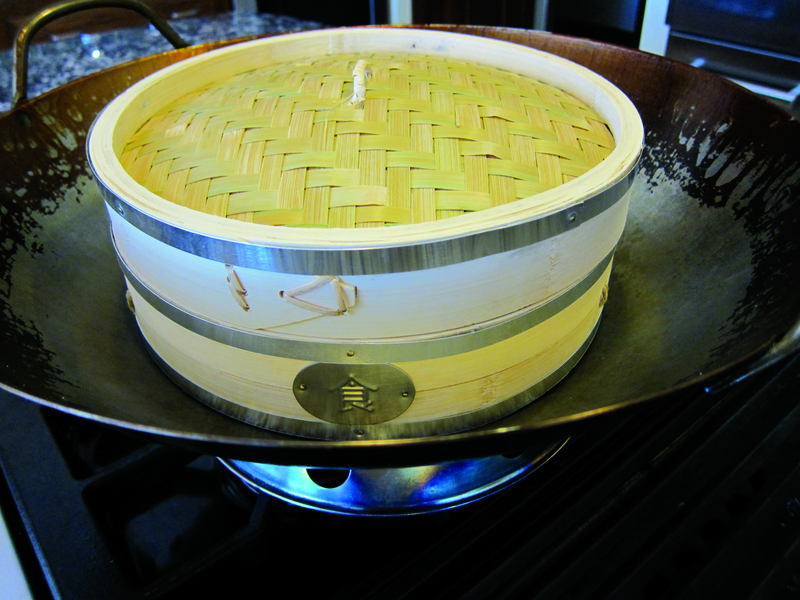 Steaming in a wok requires a steamer basket like the one shown in the picture. The steamer is placed over water and the cover is then put on the wok to contain the vapor. You can also use individual serving size steamers, which are about 4” across. Just place them next to each other inside the wok and prepare them all at once. Meats of choice are nearly always the fattier ones. Fat means flavor, as well as calories necessary to people living on small budgets. 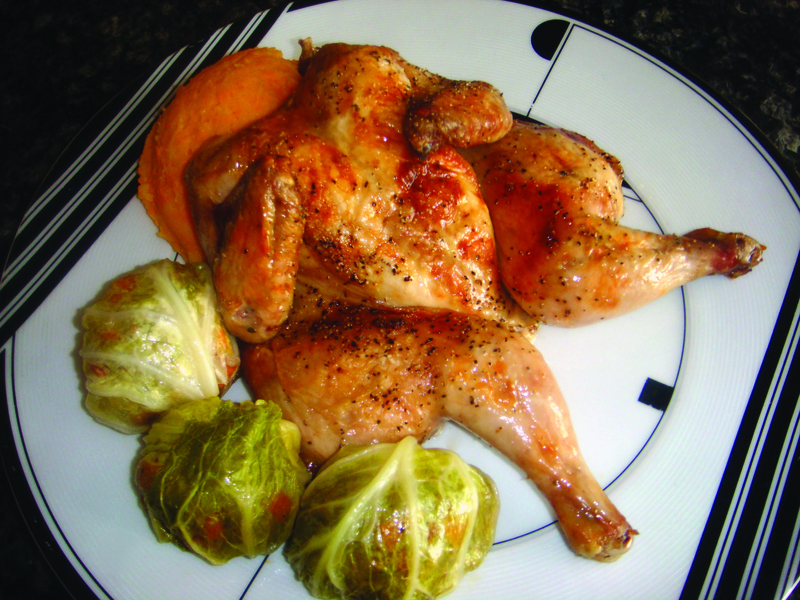 For example, when cooking with chicken, dark meat is usually chosen. Breast meat is frowned upon because the meat is more dry. The knife of choice is the cleaver. They vary in size and weight and have different purposes. 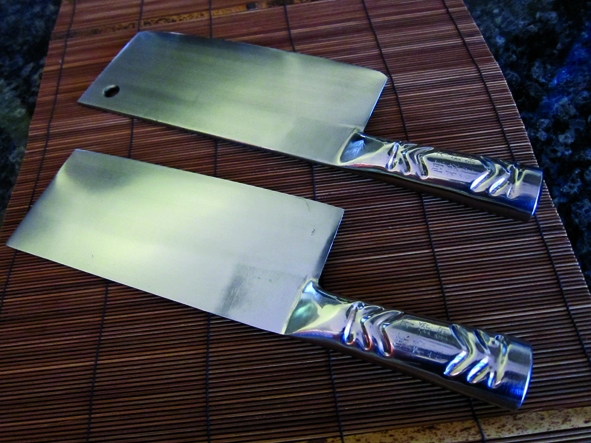 Lighter cleavers are for chopping and are used exactly like a French or Chef’s knife. Heavier cleavers are for chopping up bones and other tough ingredients. They are also used for smashing vegetables and garlic. Their wide surface areas are also great for picking up the chopped bits and transferring them to the wok. 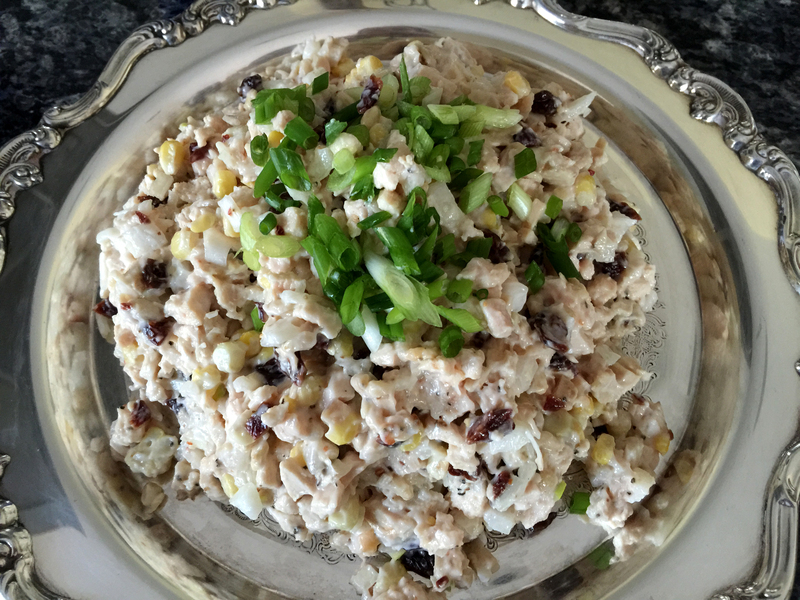 In Chinese cooking, typically corn, peanut or vegetable oils are used. Olive oil has too strong a taste for the Chinese palate. Peanut oil with its high smoke point is especially suited for stir frying. 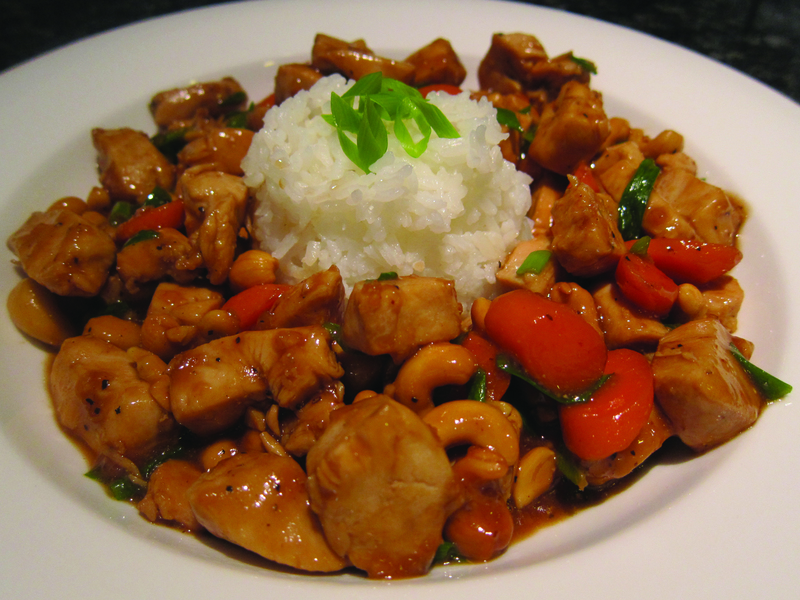 Rice is a common accompaniment for meals – especially in southern China, where it is grown. There are many varieties, but if you want to eat your dish with chopsticks, be sure and use a relatively short grain rice with high starch content so it will stick together. I use U.S. No. 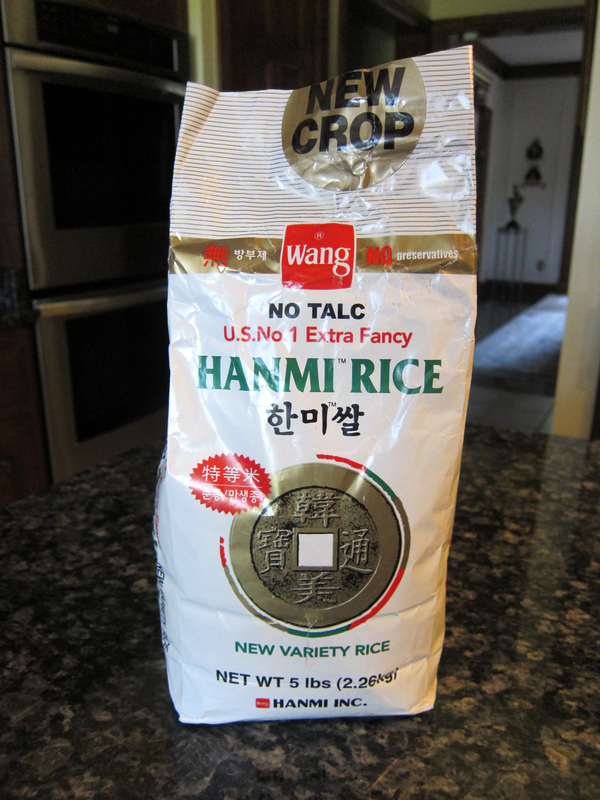 1 Extra Fancy Hanmi, available in Asian stores. Before you begin to heat the wok, make sure the ring is centered on the heat source. This positions the wok so the heat surrounds its base evenly. If your wok has metal handles, it’s not a bad idea to have oven mits handy or to get in the habit of wearing one when you are frying. You never know when you will need to grab a handle to stabilize it or re-position it. Don’t crowd the pan! 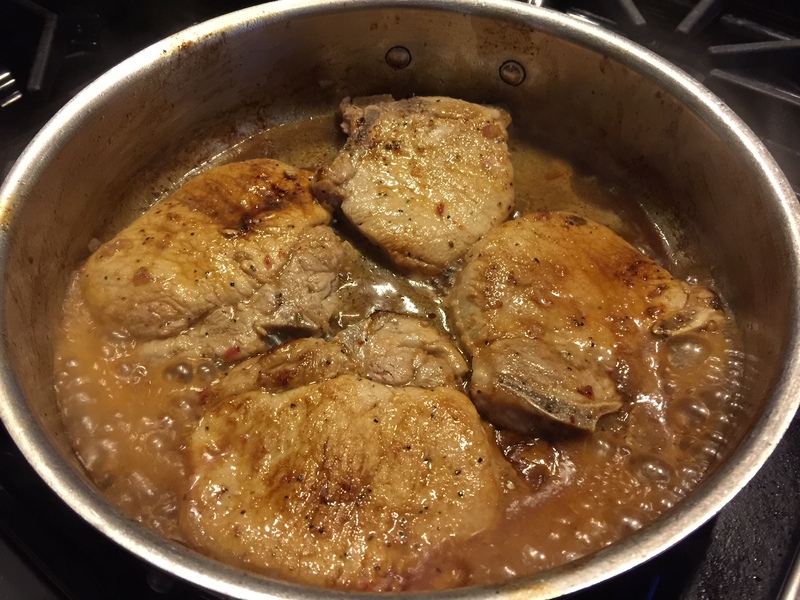 Too much meat in the pan will cause it to boil, not sear and caramelize (turn brown). As the meat heats up, it releases juices that can create a pool that cools the pan down and keeps the meat away from the hot surface. If you are making a lot, work in batches so this doesn’t happen. Meat and vegetables both need to sear quickly, so keep them in the bottom of the wok, near the heat source. You can tip the wok around on the ring in different directions to get high heat contact in different places if you need to in order to help with even cooking. Remove ingredients from the wok with a slotted spoon. This will cause any leftover oil to stay in the pan for the next batch. This also helps you to use as little oil as possible, which will keep the fat and calorie content of your dish lower. Many sauces for these dishes contain soy sauce. Soy sauce in the U.S.A is very salty. The taste of the salt intensifies with reduction, so be careful to read labels and find the lowest sodium content that you can. If salt is called for in any recipe, taste what you have already cooked before you add it. The reduction of the soy sauce may make it already salty enough. Marinades are widely used in China because they were originally invented to mask the smell of the meat. Marinate at least fifteen minutes before stir frying so the flavor will penetrate the meat. Stir fry is a fast method of cooking and if you don’t give the marinade a little time, instead of penetrating the meat it will sit on the outside. Marinade components: Rice wine is added for its fragrance, light and dark soy sauces are for flavor. Cornstarch seals the flavor and thickens the sauce. Peppers are also a common addition. 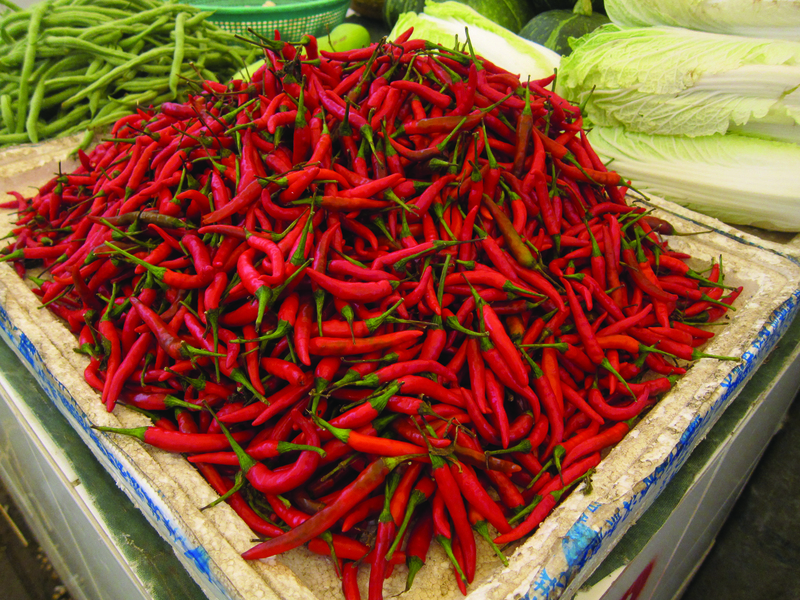 You know your taste buds, so make sure you know your peppers! It’s very easy to make a dish too hot. Lantern shaped ones – shown in the picture – are the hottest. Whisk together the soy sauce, water, oyster sauce and corn-starch. Heat 3 tablespoons of the oil in a wok. On high heat, stir fry the chicken pieces with the garlic. Fry them in batches, until they are white all the way through, about 7 minutes. They should be browned on both sides. Remove with a slotted spoon and hold in a dish close by. Change to medium heat and stir fry the carrots for about 4 minutes. Add the chicken back to the wok. Add the cashews and pour in the soy sauce mixture. Cook uncovered, over medium high heat until the sauce thickens, about 10 minutes. Mix in the spring onions or Chinese garlic stems. Sprinkle with the pepper salt. If desired, serve with sticky rice. When a recipe calls for spring (also called garden) onions, use the entire onion. They make a lovely garnish when they are cut on the diagonal. When deciding on the size to cut the ingredients for stir fry dishes, think about how large they need to be in order to pick them up with chopsticks. That’s why I say “large” bite-sized pieces. Remember… don’t crowd the wok! 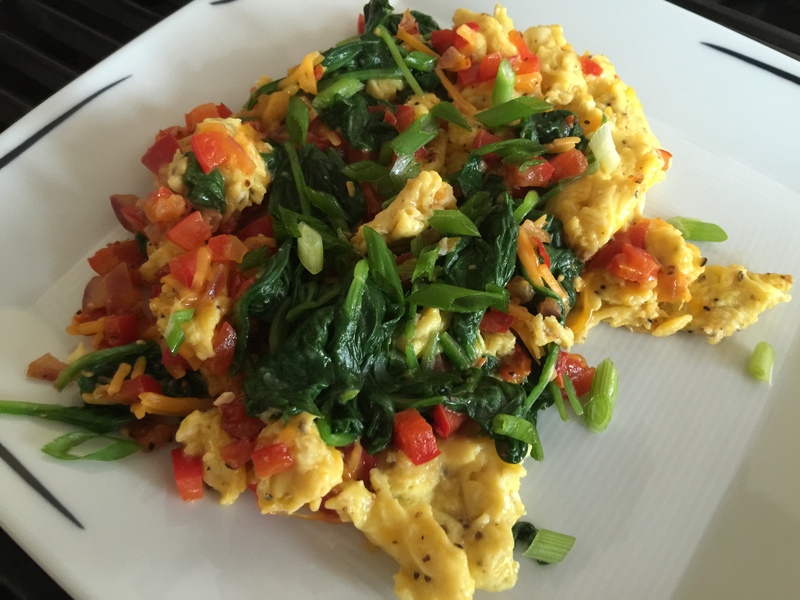 Looking for a high protein brunch that’s healthy and not so high in calories? Turn to the incredible, edible egg. It’s inexpensive, has no gluten, is high in protein, and contains choline which promotes liver function and helps transport other nutrients throughout your body. You can also add in a number of vitamins as well as no sugar and no carbs! Add in the right kind of carbs with the recipes you choose – carbs from vegetables. So let’s choose spinach! Spinach is a super food – providing a very dense nutritional content in relation to its calories. Besides that, its vibrant green color provides a wonderful visual contrast, making the dish colorful and appealing. 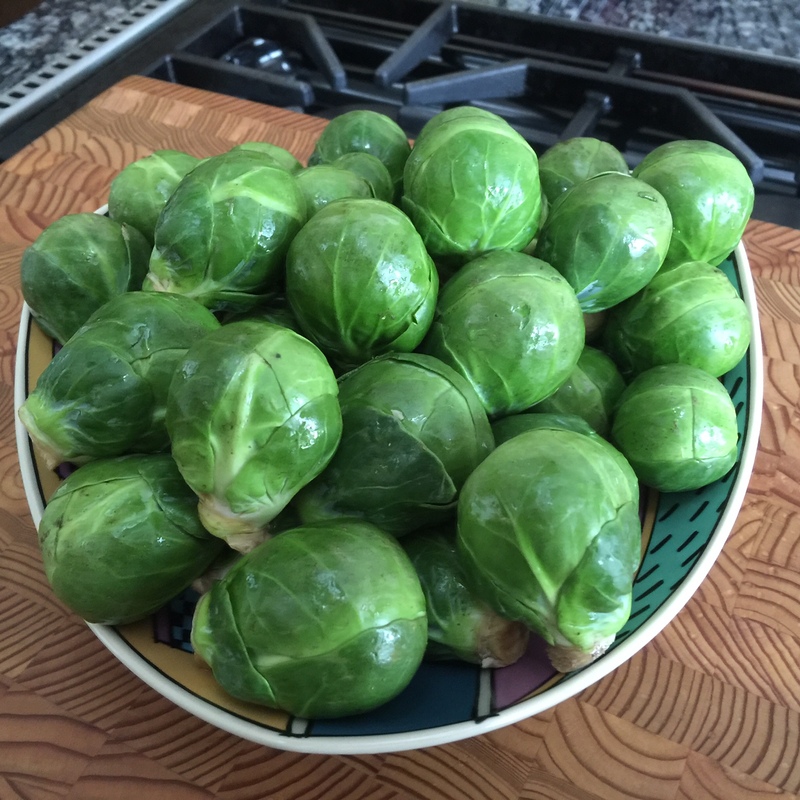 After that, I’ve added in other nutritious and colorful vegetables that you probably have on hand – making this a “go to” meal that you can prepare in a hurry. Place 2 cups water in a frying or sauce pan. Add the spinach and heat just until the leaves soften. Do not overcook. Remove from the pan and drain well. You can even blot it a bit with a paper towel. Heat the olive oil in a non-stick omelet pan. Add the onion and pepper and sauté until just soft. Remove from the pan and set aside. Add the egg and as it starts to cook, scrape the sides of the pan and fold it in on itself (preferably using a heat free spatula). Just before the egg is completely cooked, add the rest of the ingredients except for the garden onions and sprinkle with spices. Fold together once more. Sprinkle with a few sliced green garden onions and serve immediately. Concerned about cholesterol? WebMD says it best… “In 2000, the American Heart Association (AHA) revised its dietary guidelines and gave healthy adults the green light to enjoy eggs once again. The AHA’s guidelines now allow an egg a day for healthy adults while still advising a total daily cholesterol limit of 300 mg.
As an aside, it’s well known that you can spread out your nutritional needs over a period of days. So, if you make this dish one day, you can keep your egg limits in check by not eating any on the day following. This applies to most people, but if you have a heart condition and your doctor has advised you otherwise, follow his/her advice! The trend toward gluten free baked goods is on the rise. Even my own doctor says there is no reason for anyone to eat wheat in its current non-nutritional state – even if you do not have Celiac Disease. As a result, I’ve tried to take gluten out of my diet. I tested negative for Celiac Disease, but now when I eat gluten, I see by my aching stomach how difficult it is to digest. If you carefully read labels and learn the gluten free buzz words, you can do pretty well. However, baking at home is the real challenge. 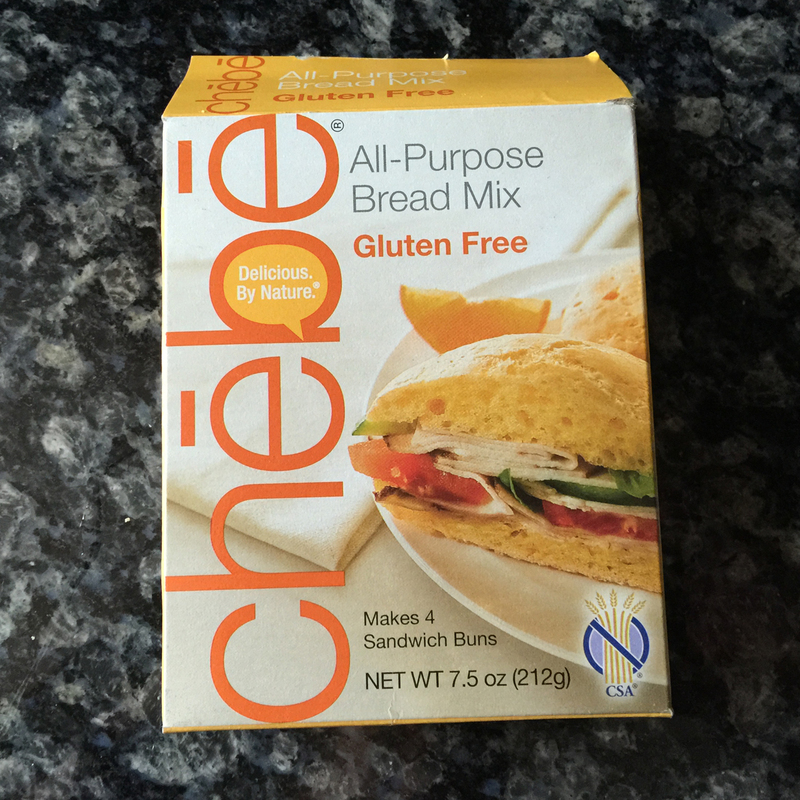 A friend suggested that I try the Chebe bread mix for making pizza crust and my daughter-in-law pushed me off the mark by ordering me some online and handing it to me (God love her. http://www.chebe.com/) At first glance, online ratings are pretty good and it’s not terribly expensive. A box, which makes a small loaf or four buns is three dollars and change. You can find sales as well. The second plus is that making it is very easy. They basically combine the flours for you – not always so easy to find – and you add the other ingredients. So basically, they are making out like bandits, but the ease of making a home baked product is worth the (not exorbitant) cost. 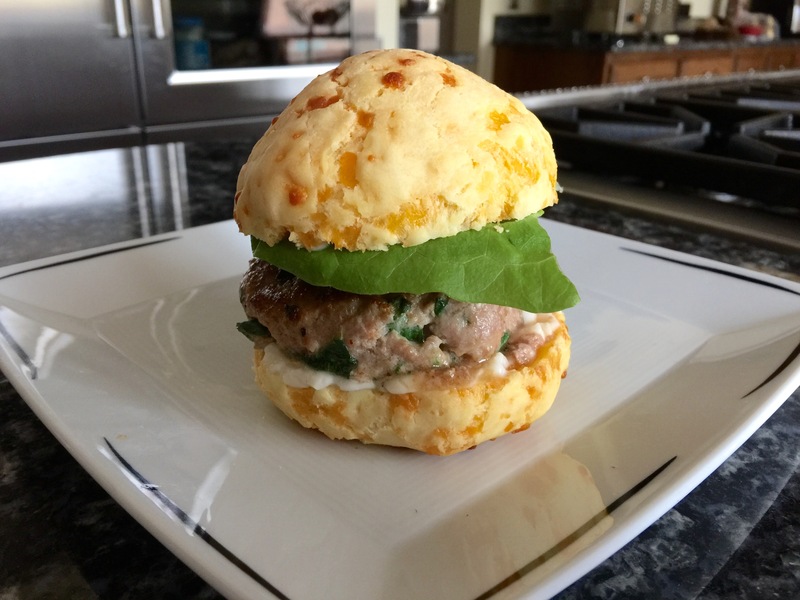 I started with the cheese buns because I had some turkey burgers stuffed with Feta and Spinach that I wanted to try. 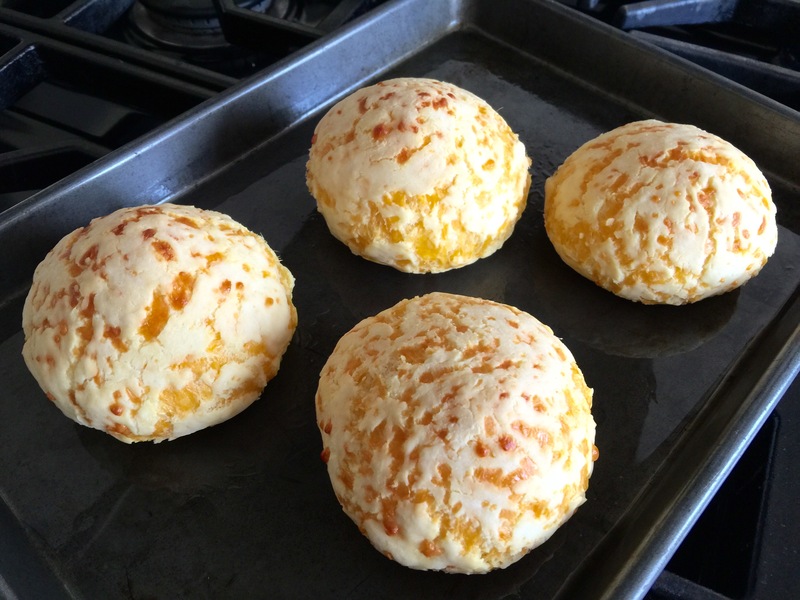 To make the buns, all I had to do was to follow the recipe on the box by adding two Tablespoons oil, a cup of finely grated cheddar cheese, 2 eggs and ¼ cup of water. You mix this together and knead it. You have to really press it together to get it to mix. I ended up lightly wetting my hands in the end to provide just a bit more moisture. 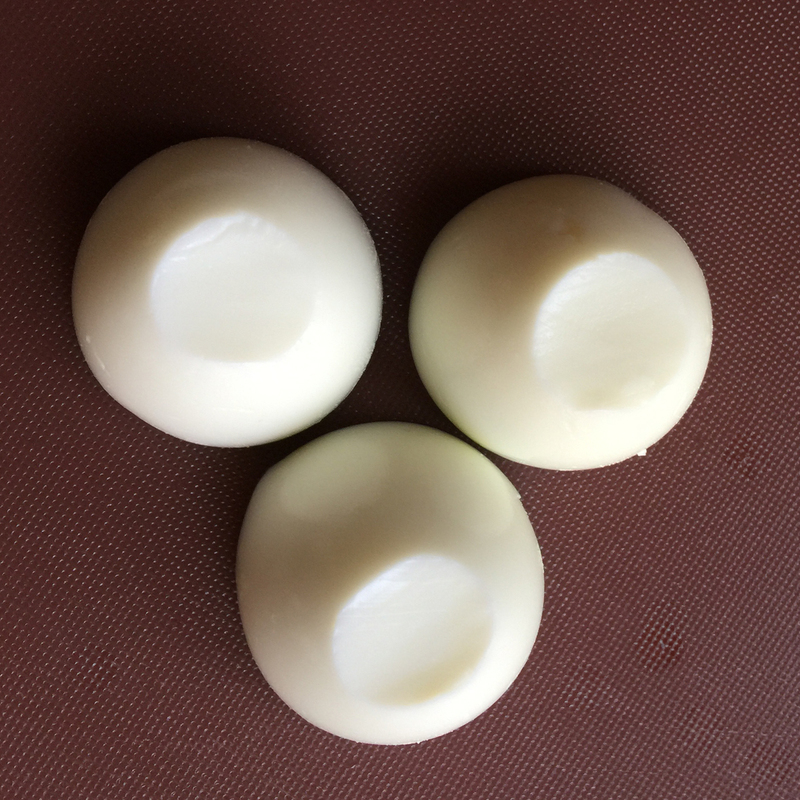 Then you divide the dough into four pieces and form them into balls. half into half again. 2. If you want to get a nice “bun” shape, form the ball and then continue to work it around as you would to make a ball, but cup your hands. That makes a higher more bun-like shape. 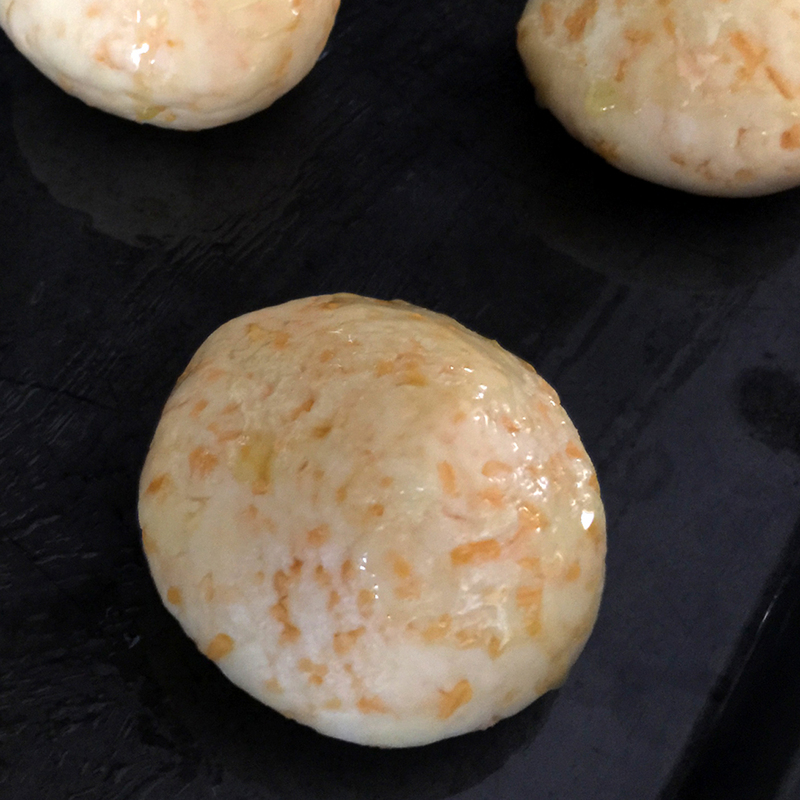 The next step is to place the buns on an oiled baking sheet or one that is lined with parchment paper and brush them with oil. Then bake in a pre-heated oven for 20-25 minutes, until – as the package says – they are lightly browned. I used the full baking time, but although they did not brown, I took them out anyway and let them cool. The result was a great bun that was crispy on the outside and delightfully soft on the inside – not terribly large, but decent in size. They do rise a little, but not a lot. According to the box, these buns are gluten, soy, corn, rice, potato, yeast, peanut, tree nut, egg, lactose/casein, iodine, and sugar free, non GMO and Kosher Certified. Whoa. The only thing that is pretty funny though, is that they tell you to add eggs and cheese to the mix, so go figure. That negates a number of those things! I can’t imagine the buns would be as good without them, especially the cheese. 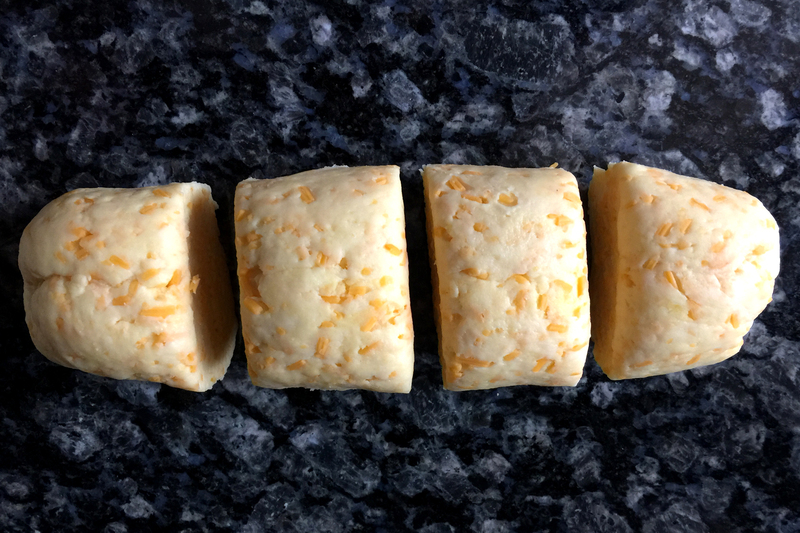 The result – with the cheese – was pretty good. I would make them again. The crispiness, however, made it a bit hard to eat. You could mitigate this by brushing the hot buns with melted butter to soften them. This does, however and of course, add calories, which brings me to one of my pet peeves. The box says this mix makes 4 sandwich buns. The calorie count per serving is 70. That sounds pretty good at first, but if you look at the Servings per container, it’s 10. Yes, TEN! So if you make 4 buns, each bun is actually 175 calories. Not only that, the calorie count on the box only includes what is in the box. So let’s add the other ingredient calories and divide that by 4. (2 T olive oil = 238, 1 cup cheddar cheese = 455, 2 large eggs = 156) So our total is 1,024 divided by 4 = 256 per bun. That’s not terrible. Now if we look at what I put on the bun, I had 5 oz. ground turkey breast at 150 calories, 1 slice of red onion and 1 pieces of lettuce that are practically negligible, Spinach and feta cheese providing about 60 calories and 1 Tablespoon low fat mayonnaise at 40 calories. So my total sandwich came to 506 calories, which really isn’t bad for eating something that really tasted like a hamburger. My point is just that it’s a lot more than it looks like at first glance. I even noticed online that when you look up calorie contents, the Nutrition box will often say “1 serving”, but they won’t tell you how much that serving is. So easy to be deceived! So be careful and look closely. Long story short. Good buns! You can also use this mix for pizza crust, rolls and other things. It just depends on how you shape them. Because they contain citrus acid, they are also great for tenderizing meats, an important aid for dieters who are trying to create flavor without fat. Not only do they add taste, this ability to tenderize makes cheaper (and tougher) cuts of meat more palatable and actually delicious. Here’s a good example of a citrus marinade from Chef Seamus Mullen of Tertulia in New York City. 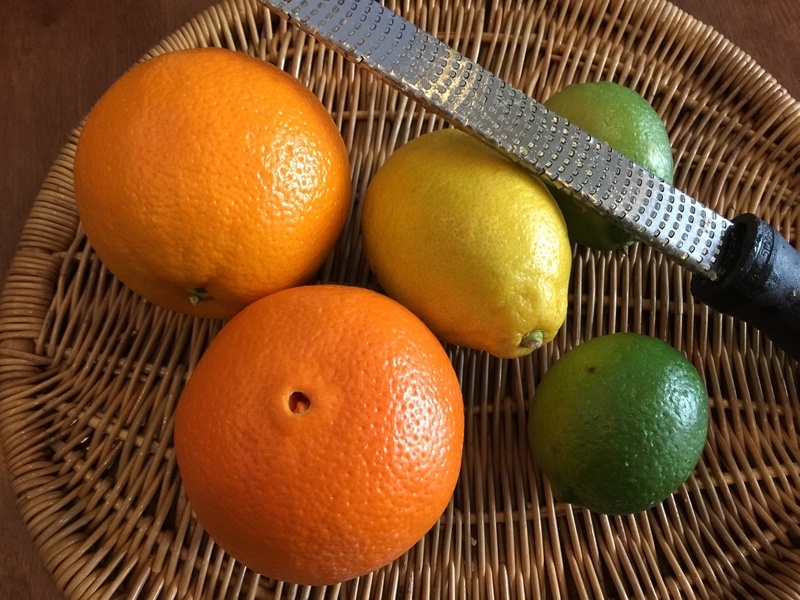 Mix together: 1 cup fresh squeezed orange juice, 1 teaspoon grated lemon zest, ¼ cup fresh lemon juice, 1 teaspoon grated lime zest, ¼ cup fresh lime juice, ¼ cup honey, 2 cloves garlic, crushed, 1 small red onion, sliced, 3 Tablespoons extra virgin olive oil and Kosher salt and pepper. 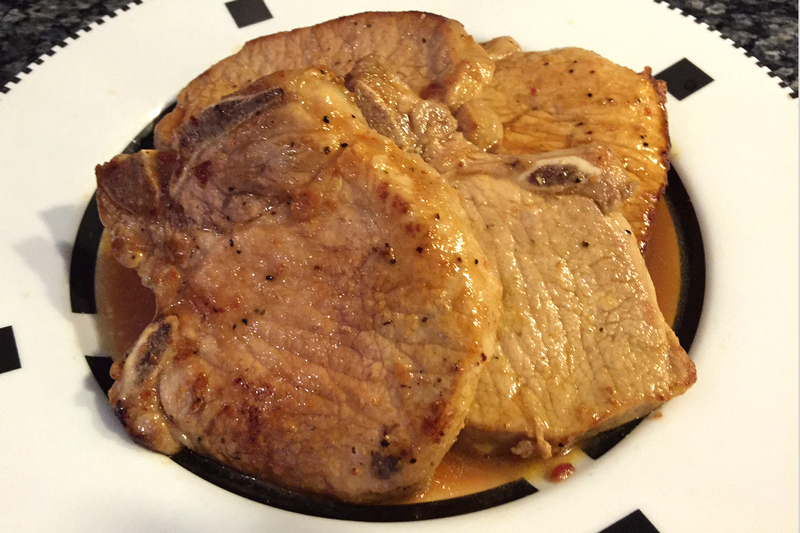 Marinate 4 pork chops for 15 minutes and then fry in a hot pan in a small amount of butter. The recipe says 15 minutes, but I actually left the marinade on for more like a half hour. These were thin chops. If you use thicker ones, I would pierce the chops and leave it on for an hour. This is a delicious recipe. I have always hated cooking pork because if it’s overdone it’s awful. So make sure to cook the chops just until their color changes throughout. Watch on the side as they are cooking and when they are white half way through, flip them to cook the other side. Chef Mullen says to strain the marinade and cook them in the marinade. 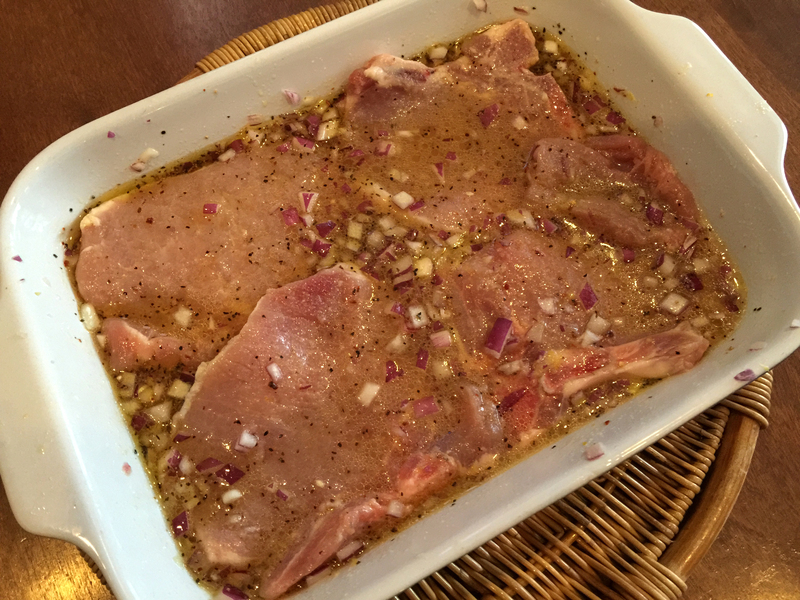 Remember that you must heat this marinade before serving because it has been in contact with the raw pork. If you like, you can sear them quickly over high heat to add taste and color. Then add the marinade and continue cooking. However, getting the color is a bit difficult since the chops are wet. They will boil first instead of searing. If you don’t mind that they aren’t brown, they will be juicier if you do not sear them. Pair this with a fruity wine like a red Zinfandel. It would also be great with a sweet drink like a Whisky or Pisco Sour. Or if you’re on a diet, simply drink water and enjoy the citrus flavor even more. Next beach walk: A dish hunt? You’ve all heard the old adage “You eat with your eyes first”. As a Chef, I’m always looking for ideas for making a plate appealing. If it looks attractive, I can be sure it will be gobbled up by my guests and besides the quest is fun! I look for pretty dishes everywhere I go – even on my recent trip to Marco Island, a place known for its beautiful shells washing up on the beach. As well as shells for table decoration, I was looking for dishes. Yes, I said dishes! I looked for large white clam shells, Sunray Venus clam shells and the largest scallop bowls I could find. Most of these were out on Tiger Tail Point Beach. What’s really interesting about the ocean is that different things wash up each day. One day it will be full of Fighting Conch shells and the next day you might not be able to find any at all. Different shells can be found in various parts of the beach. Make sure not to take one that’s alive or inhabited, which is actually illegal. If you really want to help protect the eco system, you take those that are alive out beyond the waves and throw them out into the ocean so they will have another chance. But let’s get back to the table. Small shells went into decorative bowls. (You can leave them simply as they are or fill the bowls with water and float candles or flowers above them. You could also partially fill a vase and add flowers.) 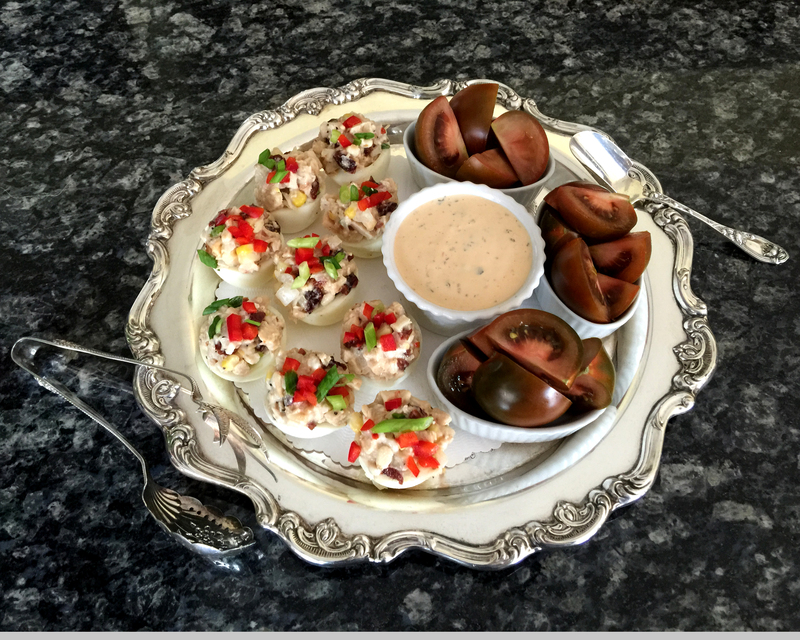 Fighting conchs, starfish and a sand dollar became appetizer tray decorations. Larger shells became containers for little specialties I like to make. The larger shells could simply be handed to people with appetizers in them. I took it one step further and added them to a Bento Box (a Japanese lunch box divided into four sections. Plastic boxes can be found in Japanese grocery stores. Or, if you want beautiful lacquered ones like these, you can find them online). I found the little dishes that fit in them in all kinds of different stores on my travels as well as at Crate and Barrel. What you see in the box below is grilled shrimp marinated in olive oil, lemon juice, salt and pepper and perched on purchased Quinoa-Vegetable Salad, marinated chicken skewers, lump crab and a crab cake topped with a little fresh thyme. The sauces are Sweet Chili Sauce and Thai Peanut Sauce – both simply purchased. On the clam shells on the appetizer tray are seared scallops topped with shredded ribs, Sushi and sashimi. You don’t have to use these exact things. Just use little things that you like to make and don’t forget about your leftovers for toppings or other little creations. Simply have fun with it! To make the ribs: Cut four pounds of bone-in ribs into four pieces. Sprinkle with salt and pepper and sear in hot oil in a Dutch oven. Then spread a small can of tomato paste on the meaty side. Turn them over so the tomato side is down. (Heating the tomato sauce sweetens it.) Add 1 cup of beef stock. (If you don’t make your own, I like the Kitchen Basics brand the best.) Cover and bake for 2-1/2 hours at 350 F – or until the meat pulls away when you rake a fork over it. Remove the meat and chop it. Freeze any extra for another meal. The marinade for the chicken is ½ cup Sesame Seed oil, ½ cup Soy Sauce, 1 Clove minced Garlic, 1 minced Green Onion, 2 Tablespoons Hoisin Sauce. Pinch of Cayenne Pepper, 1 Tablespoon Curry Powder and 1 Tablespoon ground ginger. Marinate for at least 45 minutes and then cook them in a pan. Remember to soak your skewers ahead of time so they won’t burn. To make the crab cake: Mix 1 pound of crab with 1/4 cup chopped pepper, 1/4 chopped shallot, ¾ cup Pepperidge Farm Herb dressing (first mixed with 2 Tablespoons Dijon or Mucky Duck mustard and 1 egg and then added to the mix) and salt and pepper to taste. Press into cakes and dip in Panko. Fry in butter. Enjoy! Sous Vide: What’s it all about? 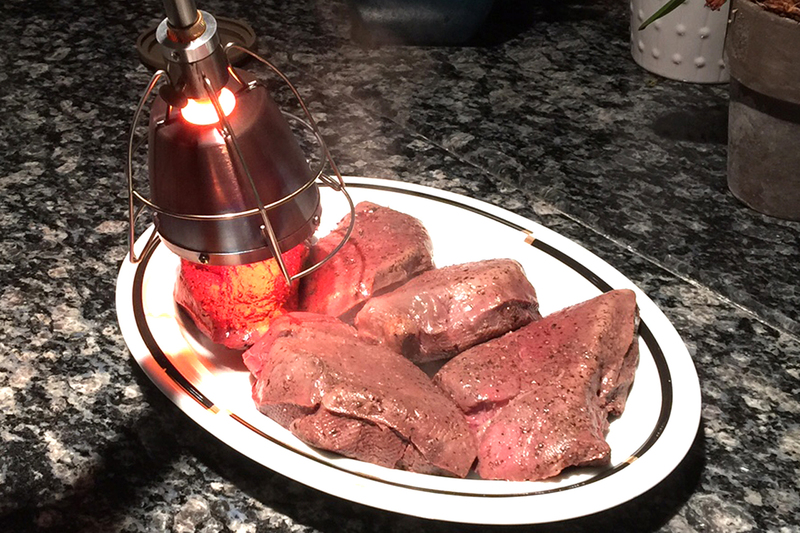 Sous Vide Cooking…Now so easy to do at home! What is Sous Vide? Sous Vide is French for without air. It’s is worth knowing about because it’s a way to cook meats and fish with absolutely no fat – reducing in calorie reduction. But most important, it’s a way to get your food the perfect temperature with no fear of over cooking. It can supply a big window of time within which you can serve your food, all the while keeping it warm and perfectly cooked. The sous vide method was popularized by high end restaurants for just these reasons – and now, even the home cook has an opportunity to take advantage of this unique method of cooking without a huge expenditure. To use this method, you place a circulator/heater in a tank with enough water to cover the food. You heat the water to the desired temperature and then you drop sealed bags containing your food into the water for a specified period of time. (Charts come with the equipment.) 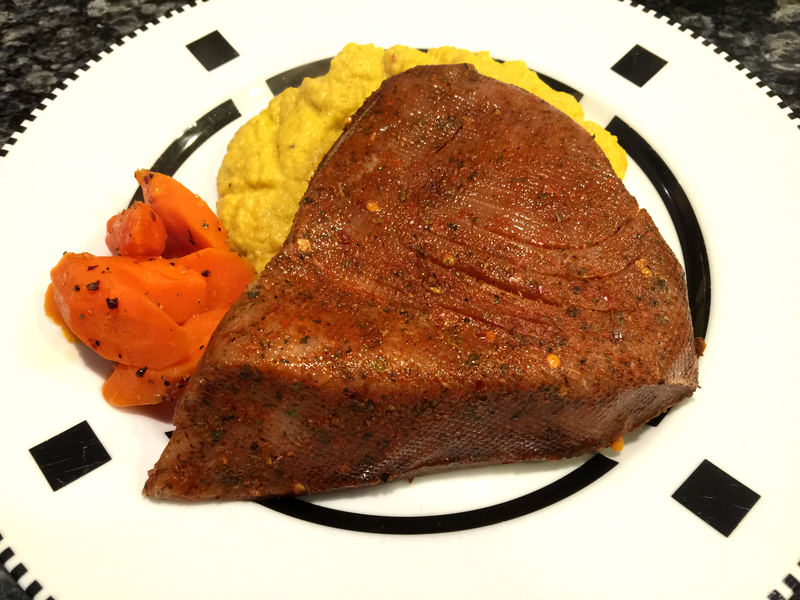 You can slow cook thick fish for several hours and meats for many more. Once you reach your minimum cooking time, you can leave it in there to keep it warm for quite a while, taking it out when everything else is ready – a cook’s dream! Does food taste the same? Your food will be moist and the texture will be extremely tender. However, it might look a little different. You won’t see any caramelization, so you might want to use a blow torch, broiler or blow torch with a diffuser on it to brown up your meat. I don’t think this is so important for fish and with fish – because it’s more tender and thinner – you risk over cooking when you have just gone to the trouble of preparing it perfectly. You can compensate for the lack of caramelization with tasty and colorful spices. In general, you will want to use more spices anyway to compensate for losing the taste of the fat you would normally use in cooking. All this means is that if you plan to cook a roast, for example, that has six hours of cooking time, make sure your water temperature is above the zone. A product like fish, for example, that might, also for example, take an hour or two to cook, would be fine cooked at a lower temperature – even within the zone. What equipment is required and where do I get it? All you need is a large, plastic tank and a heater/circulator, as well as a way to vacuum pack your food. It’s important to circulate the water in the tank so that all the liquid is a constant temperature. Basically, you are poaching without your food touching the water, which would leech out the flavor. Take a look at the Anova Sous Vide Immersion Circular for $199 and the ARY tank, for $39 (found online at the time of this printing). A vacuum pack machine can be found at places like Bed, Bath & Beyond. Although there are more expensive ones available, I got a Food Saver brand machine there for $69 and it has worked fine for years. A nice aside to these machines is that you can freeze food without air in the packages, eliminating or highly reducing freezer frost. 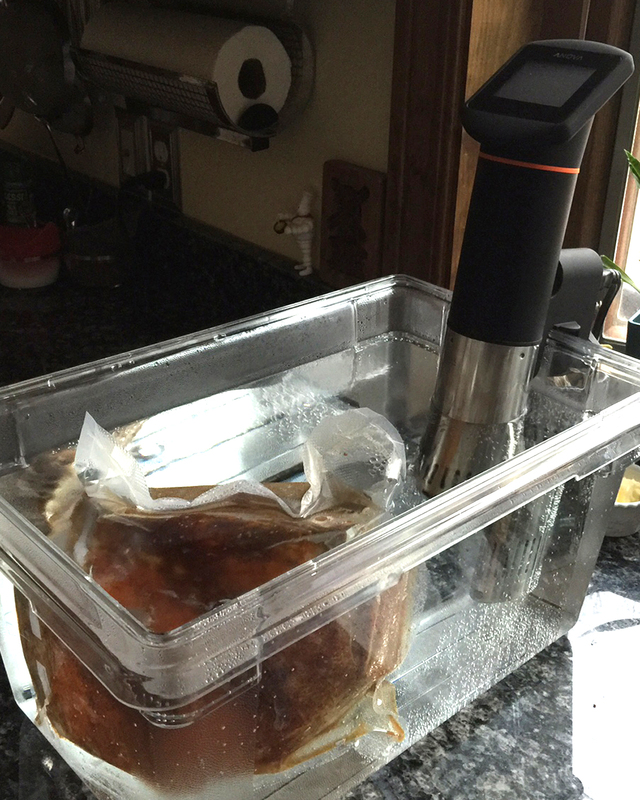 For sous vide, you can even use Ziploc bags, as long as you press out the air and make sure they are sealed tightly. This method of cooking is easy and fun. Especially for those of you who are afraid to cook fish, just can’t get it right or don’t like the smell of fish in your kitchen, here’s your answer!